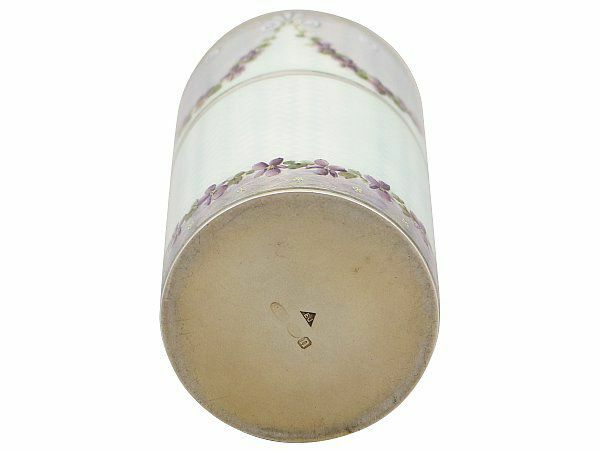 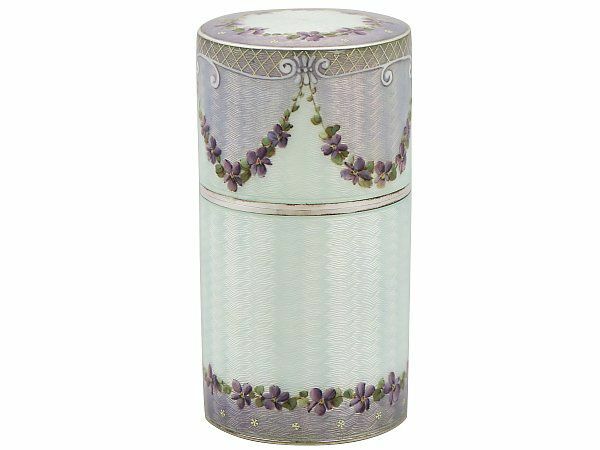 This exceptional antique George V scent bottle container has a cylindrical form. 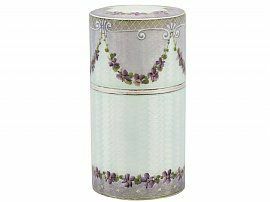 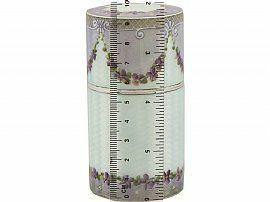 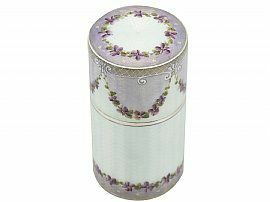 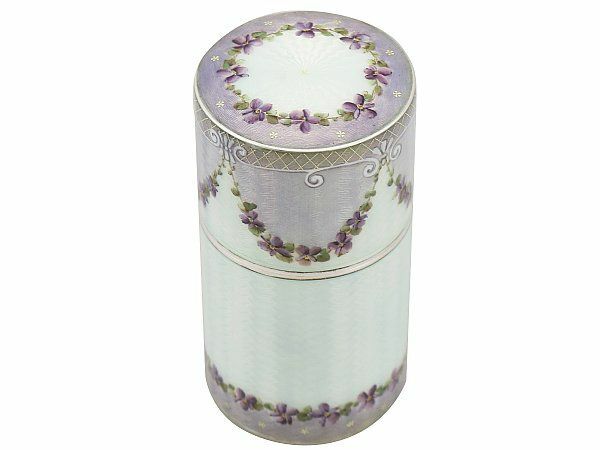 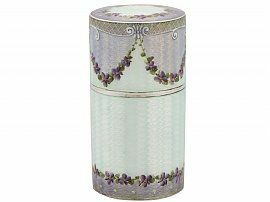 The surface of the body is embellished with exceptional pale blue guilloche enamel accented with violet floral garlands above a transitional band of purple enamel incorporating minute floral motifs. 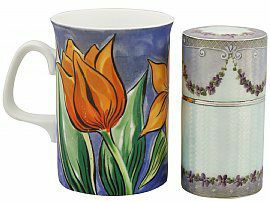 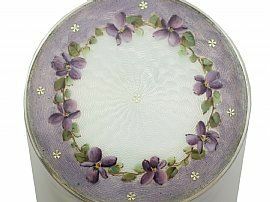 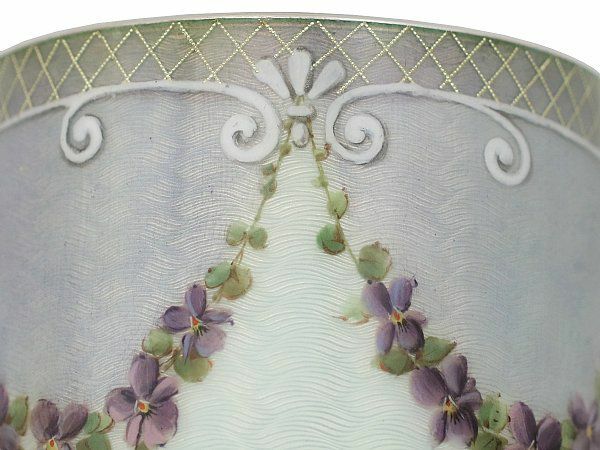 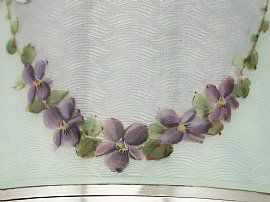 The cover is ornamented with further enamel decoration with violet floral garlands suspended from a scrolling trellis style border to the upper portion. The upper plateau of the cover is encircled with further enamel ornamentation reflecting the design to the lower portion of the body. 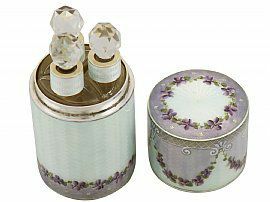 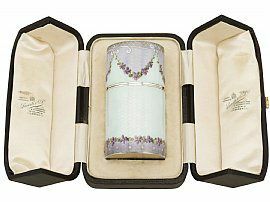 The cover opens to reveal the original three glass perfume bottles and stoppers. 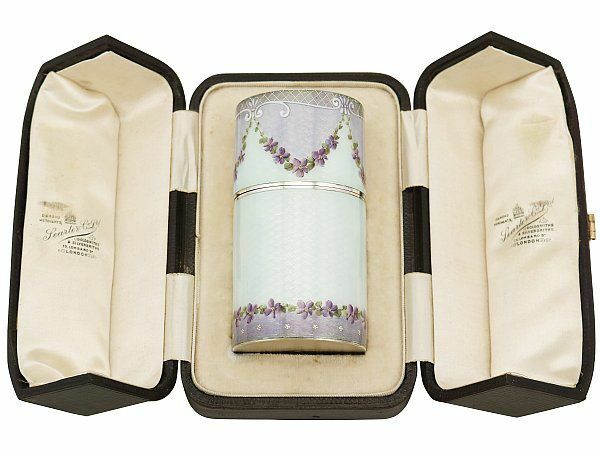 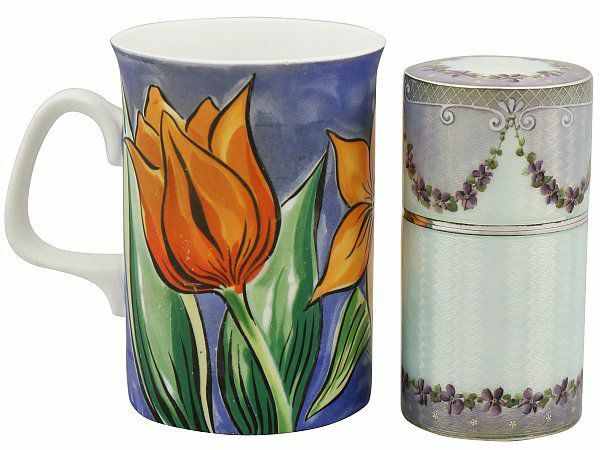 Each bottle is fitted with a silver mount ornamented with a band of pale blue enamel. 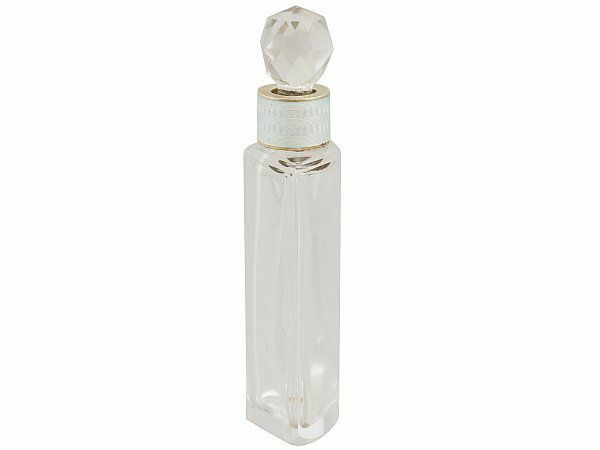 The shaped glass body of each antique perfume bottles is embellished with stepped ornamentation to the upper portion. The interior of the sterling silver chamber, cover and mounts to the bottles retain the original gilding. 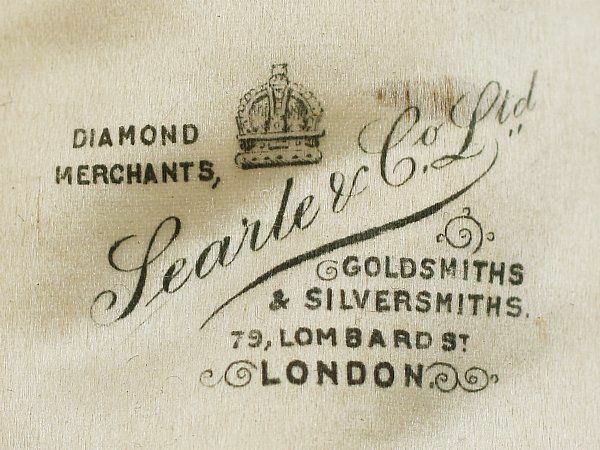 This antique scent is fitted to the original hinged leatherette box with satin and velvet lined interior bearing the retailer's mark 'Diamond Merchants, Searle & Co Ltd, Goldsmiths & Silversmiths, 79 Lombard St, London'. 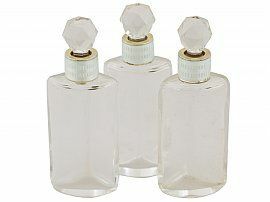 These antique scent bottles are an exceptional gauge of silver, exceptional quality and in exceptional condition. 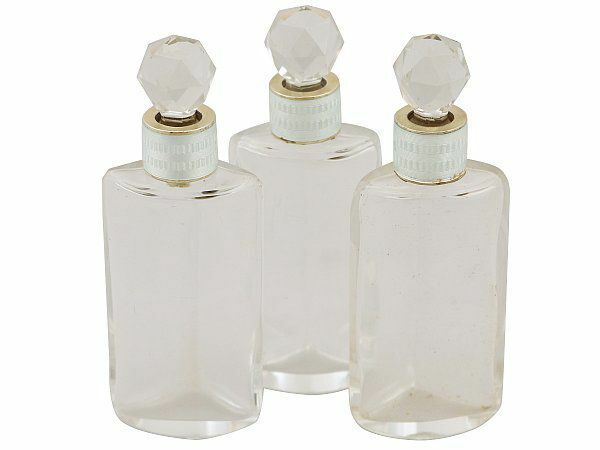 The glass perfume bottles are in perfect condition. 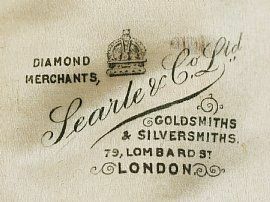 The original gilding shows signs of wear in keeping with age. 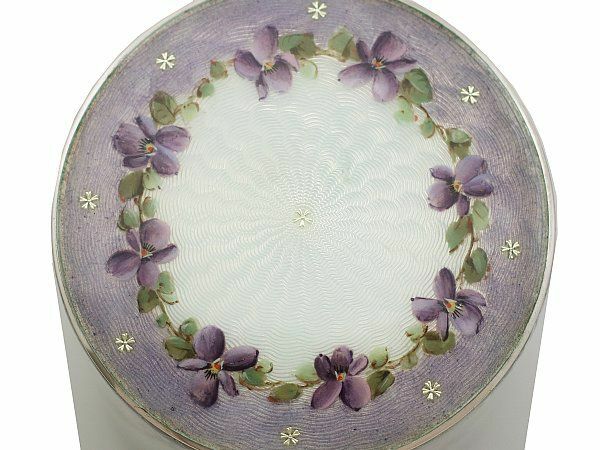 There is a slight surface abrasion to the enamel at the top rim of the container. 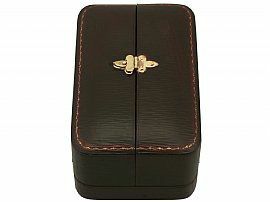 The interior of the original box is in excellent condition, in keeping with age; the exterior surface is in excellent presentation condition. 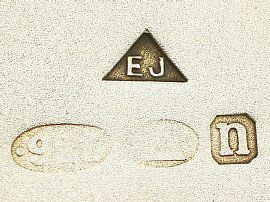 Full import hallmarks struck to the underside of the sterling silver container and part hallmarks to the interior of the cover are all very clear; the hallmarks show signs of wear in keeping with age but remain legible. Reflections in photographs may detract from the true representation of these antique enamel perfume bottles. 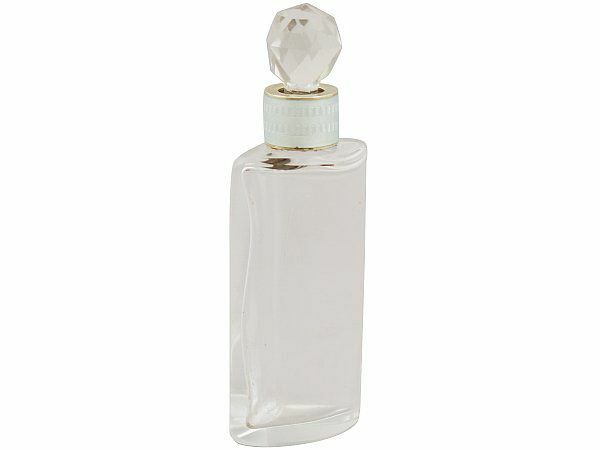 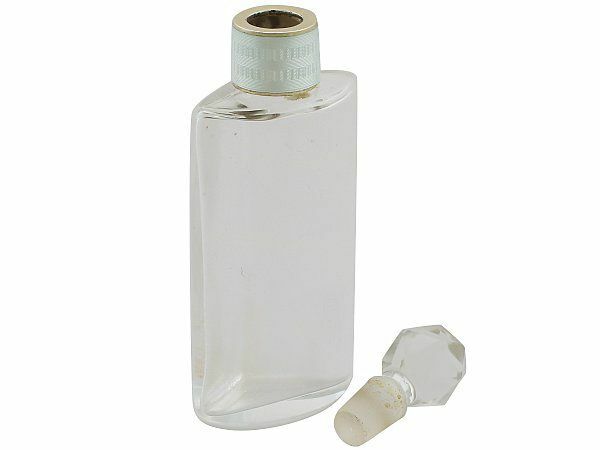 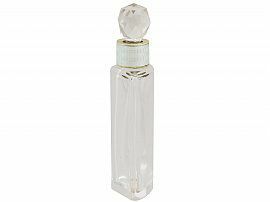 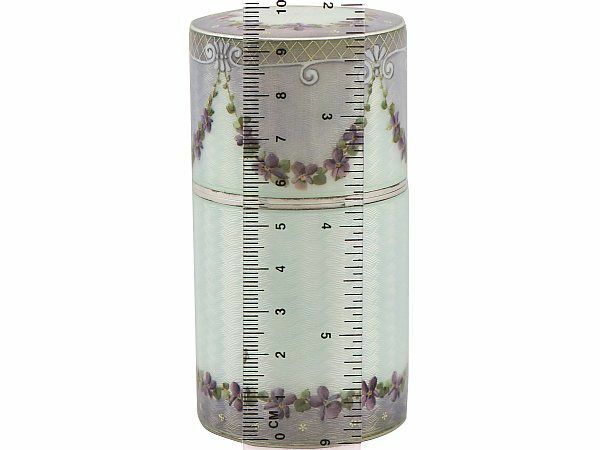 Length of scent bottle 3.4cm/1.3"
Width of scent bottle 2.1cm/0.8"
Height of scent bottle 9.4cm/3.7"